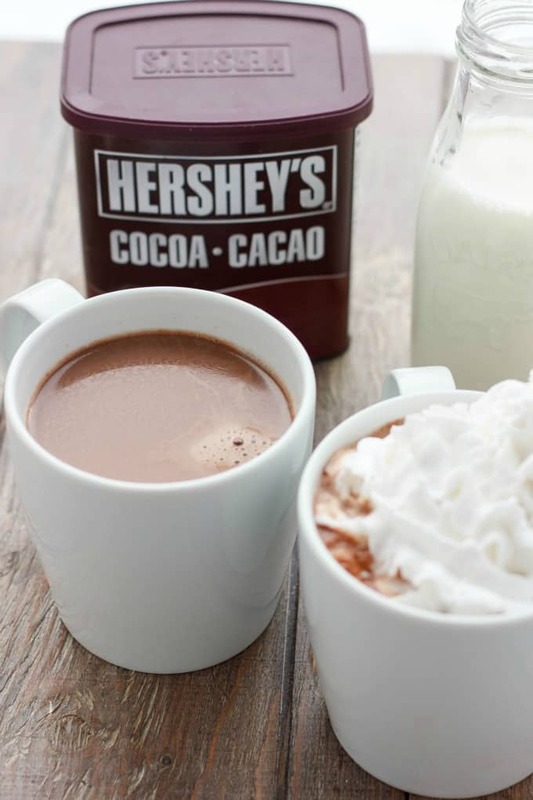 Homemade hot cocoa is perfect on a chilly night, or the perfect recipe for two for Valentine’s Day! 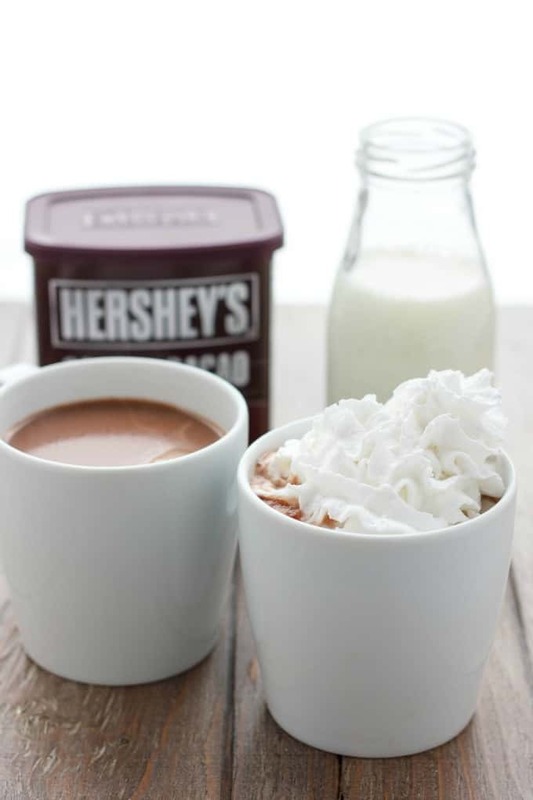 The photos and recipe for this homemade hot cocoa has been updated as of January 12 2016! As my neighbour, Melissa, and I crossed the parking lot to hop into my mother-in-law’s SUV (that I had borrowed), we both muttered and complained about how miserable this winter has been. I mention how I love the winter and she looks at me in shock and asks “how?! You are complaining as much as me!” While our winter temperatures have been atrocious, I have to admit I love the winter from a distance. Imagine: curling up on a sofa, a blanket covering you as you sip homemade hot cocoa and sit in front of a fireplace. I don’t own a fireplace, nor would I be found sitting on the couch with a blanket since Éowyn would be jumping all over me as I try and sip my hot chocolate. But that hot cocoa… It is a necessity through these cold months! Now that I have been making homemade hot cocoa for a number of years, I can no longer go back to the store bought mixes. Even ordering hot chocolate from coffee shops doesn’t always work for me because some make theirs super sweet, or not sweet enough. I think I have come across a recipe that is the perfect balance of sweetness, while remaining full of chocolate goodness. Now this being said, everyone has a different sweet tooth ratio. I love my hot chocolate topped with whipped cream. Others prefer marshmallows. Spruce it up however you like it, but rest assure, the base recipe is quite divine! Homemade whipped cream, store-bought, or whipped coconut like I used! In a small saucepan, add the cocoa powder, sugar, and salt. Pour in boiling water and heat over medium, allowing the mixture to come together into a smooth paste, stirring frequently. Add the milk and cream. Stir and raise the heat, bringing it to just before a boil. Uhhh, Beth, I feel this may be a deal breaker... ;) It must be the Canadian in me, but I cannot help but love winter! <3 OH my love Hot Chocolate! 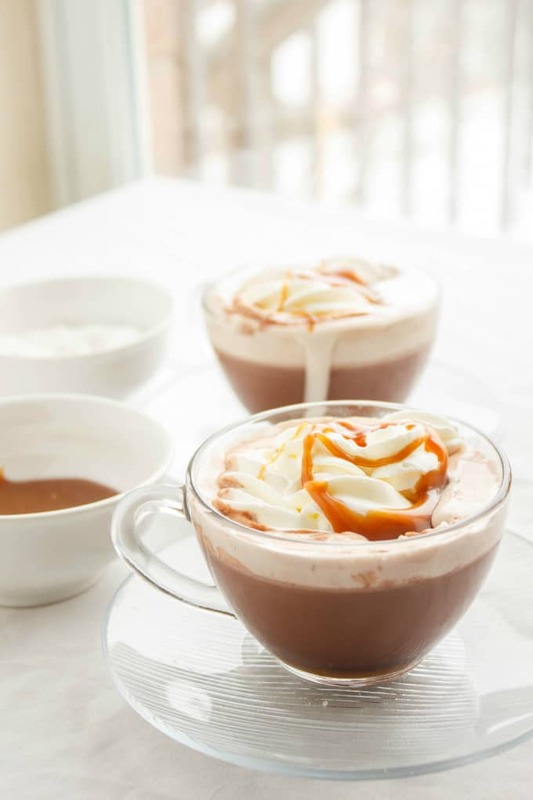 As I sit here writing a comment on this delicious-looking hot chocolate recipe, it's snowing outside! Time to make hot chocolate!! Hot chocolate is definitely a "must" in the winter! I love the splash of vanilla you added to this. I love curling up with a nice cup of hot cocoa this time of year! I'm not the biggest winter fan, but I don't hate it either. 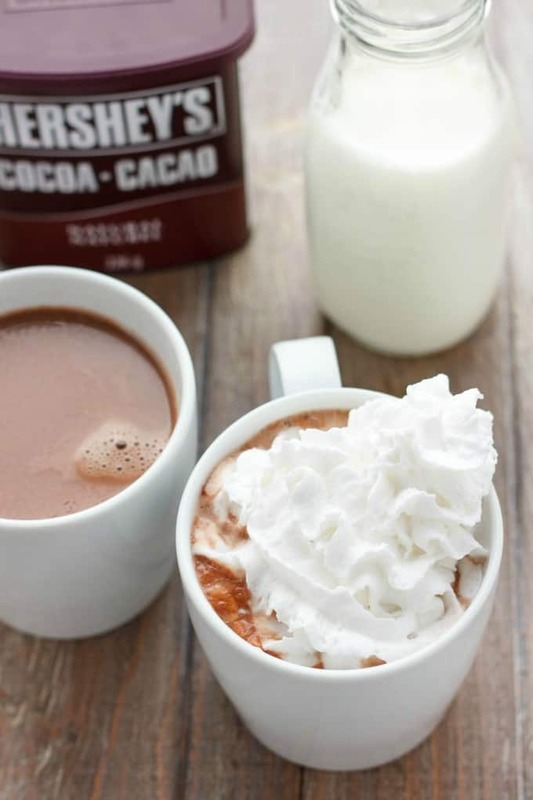 I love the idea of curling up on a couch, by the fireplace, under a blanket, sipping this hot chocolate.